Does The End Of Summer Mean The End Of Glamping For The Season? When the light nights start to fade most people begin to put their camping kit away and forget about it until next season, but if your willing to put in a little effort, Autumn camping comes with its rewards. 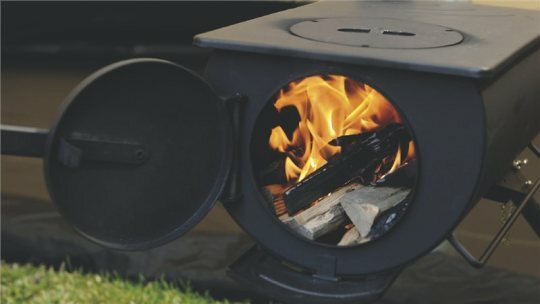 Visiting your favourite campsite out of season can mean you get the place almost to yourself, it's also a great time to visit tourist hotspots that you may want to avoid during 'peak season' If you're not quite ready to give up camping just yet, we look at some of the options for keeping warm. Cotton is a breathable fabric, which means you'll find condensation becomes much less of an issue when camping out of season. When you first look to buy a canvas tent the most common canvas weight you'll see is 285 gsm, this is suitable for most leisure campers, even out of summer months. If you think you will be a more frequent camper and out in all seasons, consider investing in a heavier more durable 360 gsm canvas tent. If your budget will stretch to it, opt for a fireproof tent. 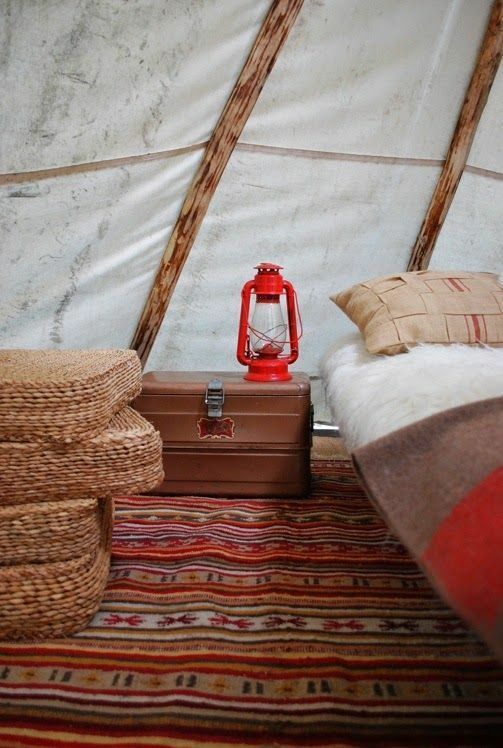 The beauty of a canvas tent is that when treated well is that it will last for years and with the correct procedure you can also install a log burning stove. Coir mats, can be bulky to transport, but once you're at your location they act as great insulation between the cold floor and your feet! Other ways of providing much needed floor insulation can include lots of scatter rugs, mats and flooring tiles. If you're looking for real luxury add a reindeer hide rug for a true Scandinavian retreat. In the cooler months it's especially important to raise your bed above the ground. One of the most cosy ways to extend you camping past the summer months is commonly referred to as hot tenting. The term refers to fitting a wood burning stove into your tent. 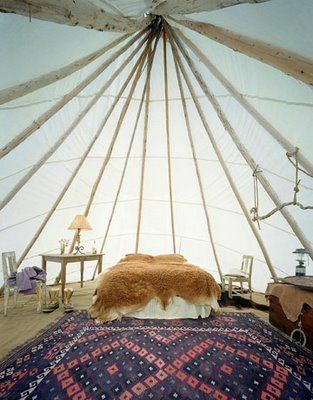 Could anything feel snugger than sitting by a crackling fire in a warm cosy tent, We don't think so! Don't however put a stove in just any tent. The tent will typically need to be canvas or polycotton material, have an opening made for the flue pipe (the ‘chimney’) and must be fitted with a tent flashing kit to stop the hot flue coming into contact with the canvas. Check if the canvas on your tent is rated as fireproof, people do use stoves in untreated canvas tents, but should take extra care. Don’t leave your stove on through the night. It's not worth risking a lit stove over night. Get your bed warm and extinguish the fire before you go to sleep. If your tent stove has a hot plate, it’s also a great place to put a kettle or cook, remember though if you're cooking it can cause staining on the inside of the canvas above the stove. Some people attach a cover above the stove to stop this happening. You can even get a hot water boiler that attaches to your stove to make sure you have a supply of boiling water for a nice brew after an autumn walk. 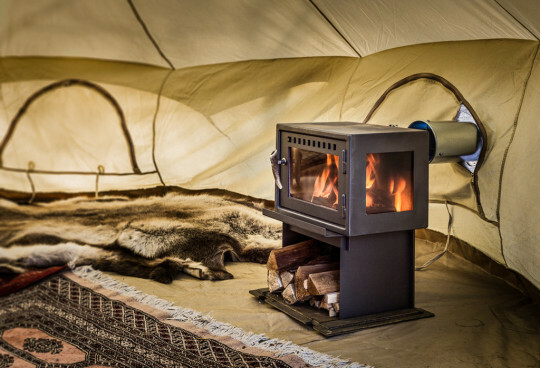 So when the weather is not great outside, a stove can make your tent a refuge in the storm. 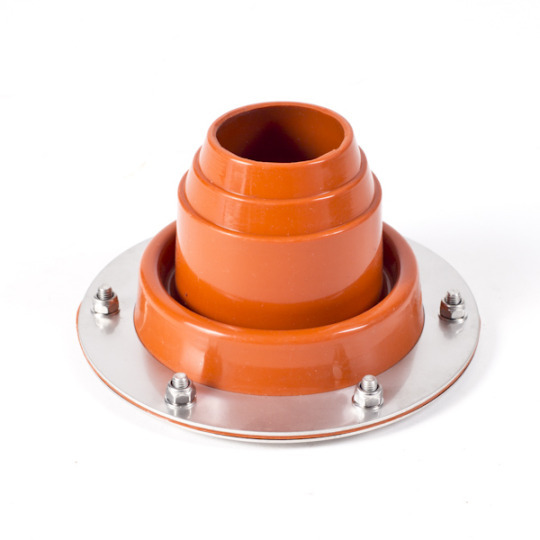 The Outback stove and accessorys are available from our shop. Lots of tents nowadys include a small zipped flap where the cable can enter the tent, so cables can be brought into the tent without getting underfoot. This enables you to run either an oil filled radiator or depending on the voltage available at your campsite an electric blow heater. 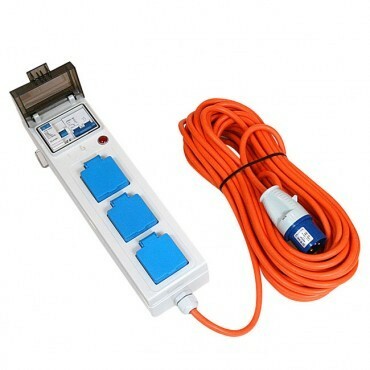 The Camping and Caravan Club offer this advice to camper using electric hook ups. It may seem obvious to say you need to wrap up well, but that go's for sleeping too, winter sleeping bags are a must and a good set of thermals will keep you toasty in the night. !